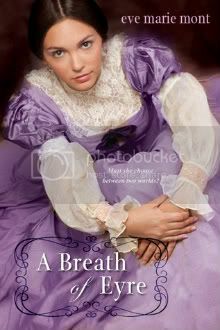 Jane Eyre is one of my favorite books, so I love the idea of jumping into her book and retelling it slightly. I can't wait to see how this story comes together! I've seen this book three times now. I like the sounds of the book. The cover looks pretty!! Great choice! Thank you for sharing it!! I still haven't read Jane Eyre but it's on my to read list! This one sounds great though. Great pick! I'm waiting for this one too, but not on my wow!